If you get "Default printer cannot be set" message in Windows 10 while adding printer, here is how to set your default printer using registry manipulation. Though we may use different printers with Windows but in most of cases, we’ve a printer that deserves to be default printer. Generally, Windows marks that printer as default one whose name comes first in alphabetical order, among available printers. 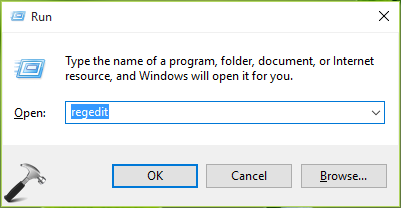 However, when you add new printer to Windows 10, the wizard will give you the option to set it as default printer. With the help of this option you can easily set newly added printer as default one but this doesn’t happens all the time. Sometimes you may receive Default printer cannot be set warning for this operation as shown below. As an alternative approach, you can open Settings app and go to Devices > Printers & scanners and set your desired printer as default one from there. But if even that doesn’t works, you can try setting default printer in registry as mentioned below. 4. Finally, in Edit String box, modify first term with the printer name which you want to set as default. This name should be exactly same as appeared in list of printers available at Control Panel > All Control Panel Items > Devices and Printers or Settings app > Devices > Printers & scanners. Click OK and close Registry Editor. That’s it! Go here, to learn how to turn off Windows 10 default print management.